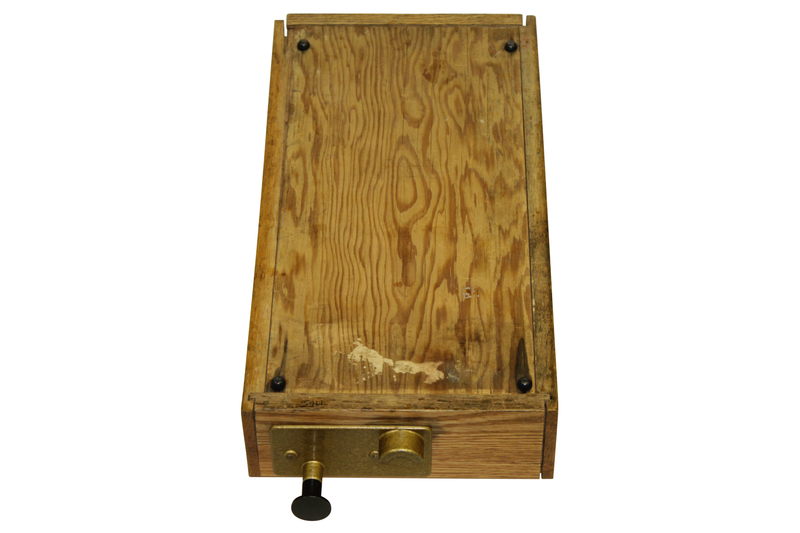 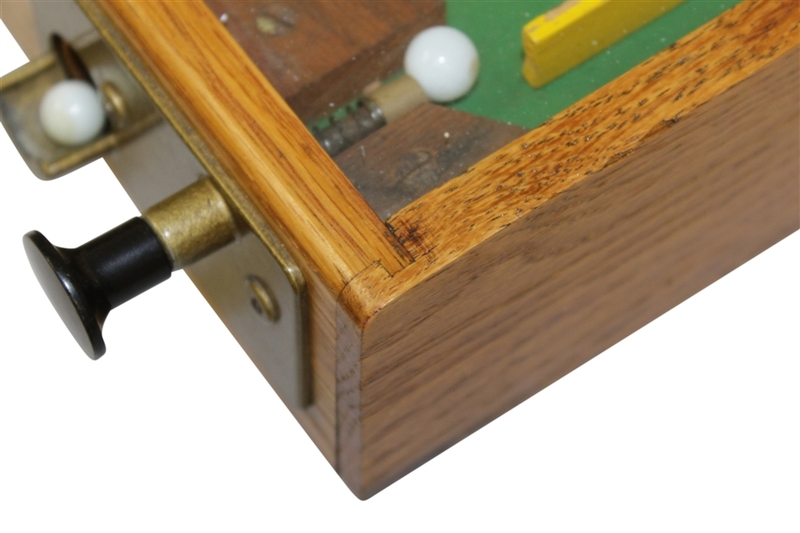 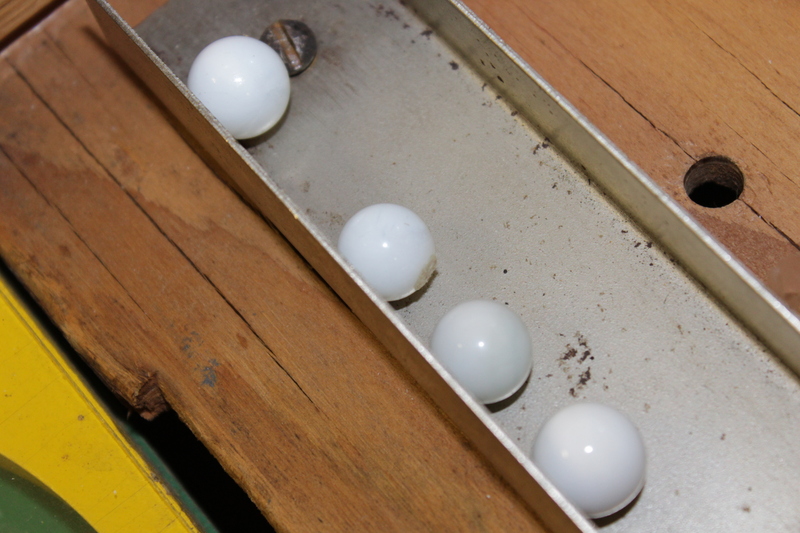 The game features a firing spring, playing balls and metal pins. 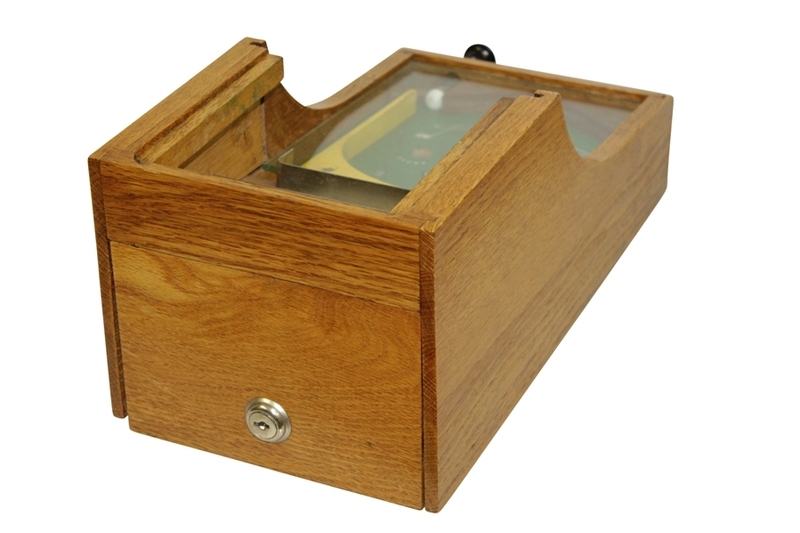 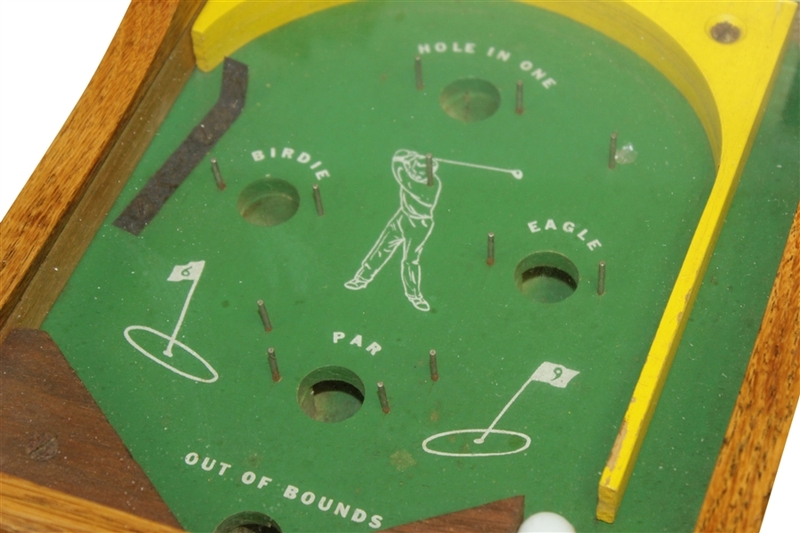 There are round holes in the wood board which is dictate whether your "shot" will earn you a hole-in-one, eagle, birdie, par or a disappointing out of bounds result. 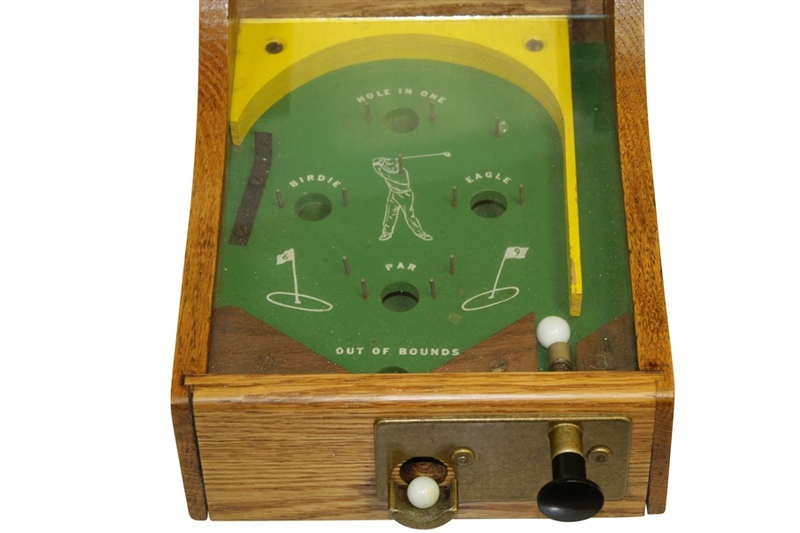 The green board includes an outline of a time-period golfer mid-swing with two pin flags on each side. 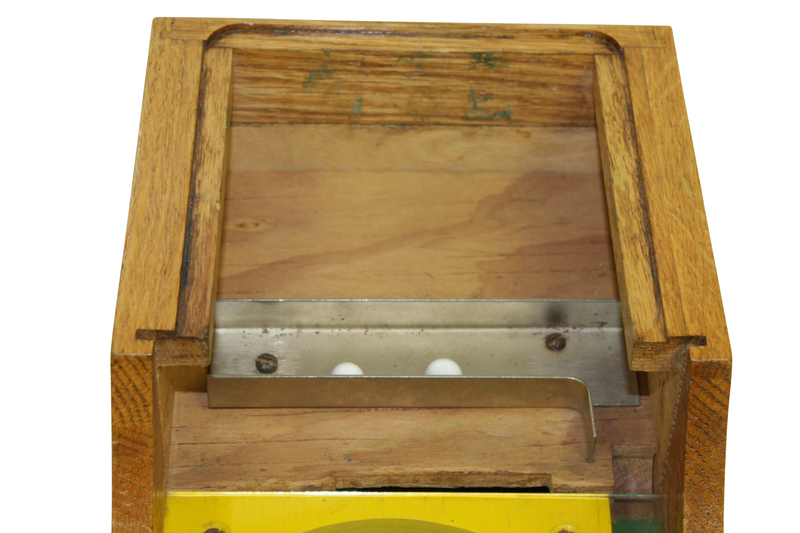 There is a round "backboard" that is yellow in color. 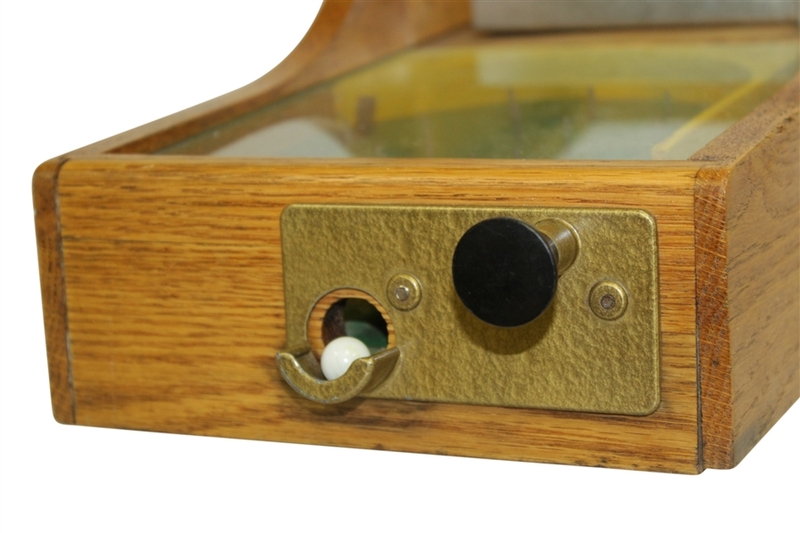 The board including frame measures 6 1/2"x15"x7 1/2". 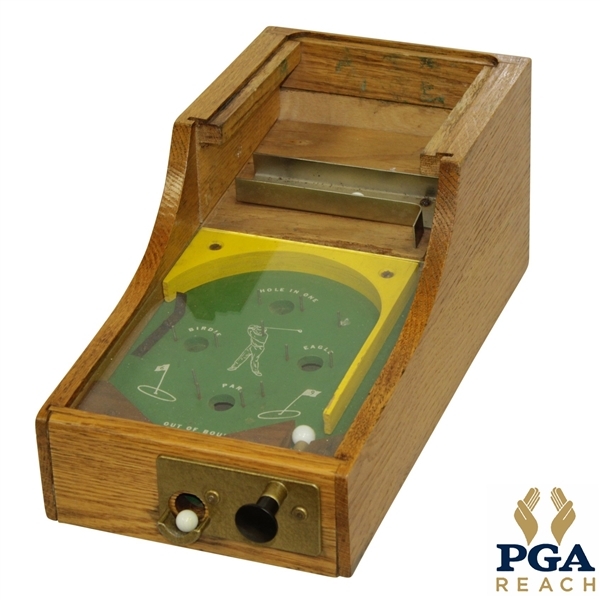 This relic of competition at golfs highest level comes directly from the PGA where it has resided for over 75 years. 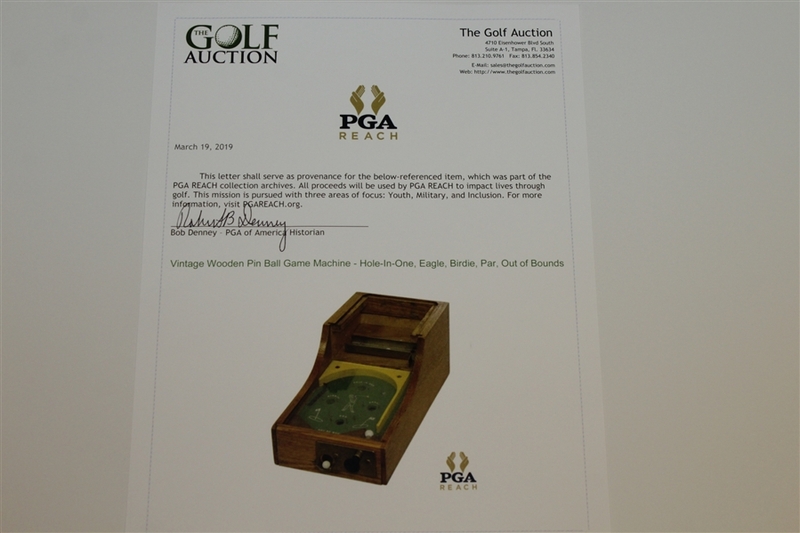 From the collection of PGA REACH, with a certificate of authenticity accompanying this lot.